Letter of the week is on hold while we focus an amazing amount of energy on Christmas crafts. 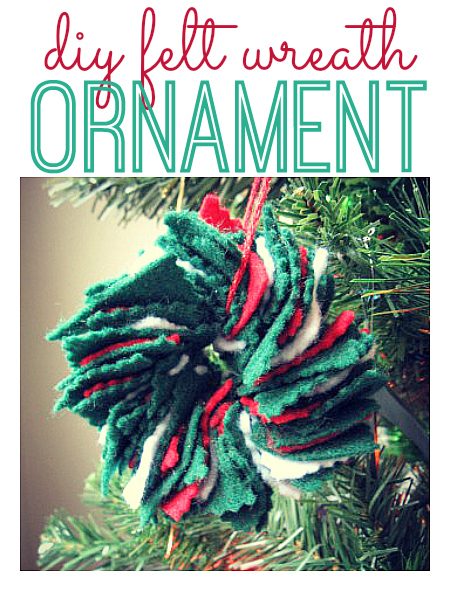 These DIY felt wreath ornaments are so easy to make and great for school age kids. 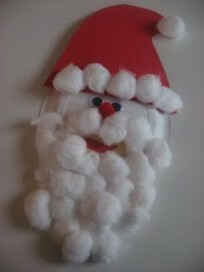 Each Monday instead of our regular old letter of the week we will be doing a series of unbreakable ornament crafts. 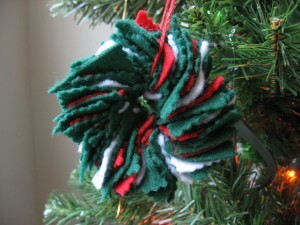 There is no reason to leave your tree only half decorated anymore when you can cover it with these great DIY ornaments. Gather your materials. 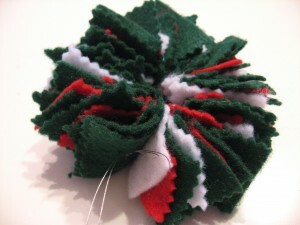 You will need some red, green and white felt ( mine was scrap), some beading wire, a large needle, pinking sheers, and some fun ribbon. 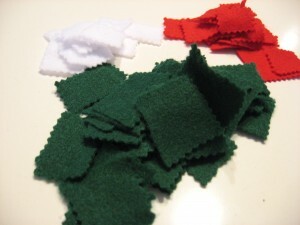 Start by cutting your felt into rough squares. 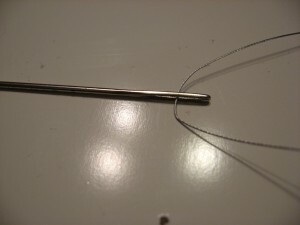 Thread your wire through your needle. 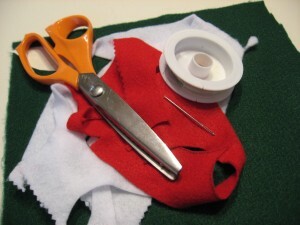 Thread the felt onto the wire , making a pattern. When it’s all threaded on take the ends and tie in a tight knot. Snip the ends. 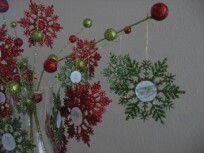 Add some fun ribbon and hang it up- on the low branches, because it’s unbreakable ! Next Post: Hanukkah Crafts and Books! .-= Beverly´s last blog ..Field Trip- Espada Dam =-. Thank you for sharing this great idea. 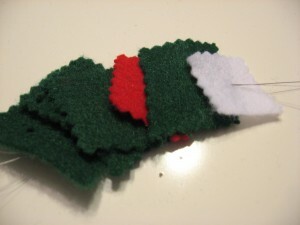 We’ll be able to use the extra fleece from our Christmas stockings (once I have those finished). Happy holidays! .-= Jessica Nunemaker´s last blog ..So, Youâ€™ve Got a Fresh Christmas Treeâ€¦Now What? =-. .-= Amber´s last blog ..Little Monkeys =-. What a great idea! My son (27 months) is also very curious about the tree and all of our very breakable ornaments. It would be so nice to have some handmade unbreakable things for the bottom half of the tree! .-= Cara´s last blog ..Menu Plan, November 30 =-. 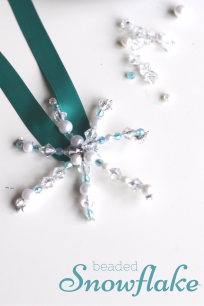 .-= Sandra´s last blog ..Have a Recycled Crafty Christmas: Week 1 =-. Love this craft what a great idea! .-= Natalie´s last blog ..November Ends =-. This is so cute and… touchable! I love it. I think I will cut a slit in each square and let my son do the threading with yarn – perfect activity for him (he’s 3) and then he can hang it on the tree! I’m thinking we could do a lot of these – maybe with different shapes! Your blog is always so inspiring, Allie, and while I don’t comment a lot, I ALWAYS read and always know I’ll come away with a great idea! 🙂 Thank you!